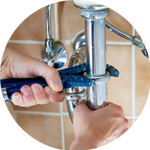 The Handy Squad have a team of highly-skilled and reliable Plumbers in London. They are the best choice for any commercial or domestic building, having undertaken a wide selection of both simple and difficult plumbing issues. Having worked within the Kensington area since 2005, our team of Plumbers in Kensington have reached an unrivalled level of expertise and knowledge. 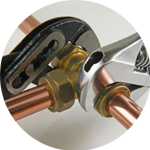 Their impressive skillset allows them to complete a wide selection of plumbing issues. 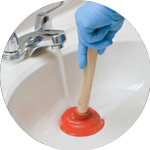 So, if you need to stop a dripping tap or need assistance with waste disposal installation, your Kensington Plumber is the only choice for a quick and effective level of service. We can also provide thorough demonstrations on how to fit a washing machine and how to unblock a shower. Kensington is a district within the Royal Borough of Kensington and Chelsea, located in the west of London. 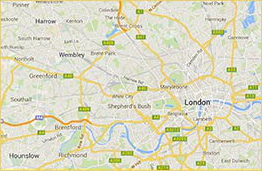 The area is home to: Imperial College London, The Royal College of Music and the Royal Albert Hall. There are also a number of European embassies within the district. 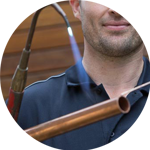 The Handy Squad provides a wide variety of exceptional services outside of plumbing. We also have a Handyman in Kensington to ensure any generalised DIY issues can be dealt with effectively. They are the premier choice in London when it comes to dependability and professionalism. Your Kensington Handyman will be able to help with things like flat pack assembly, tiling a kitchen and odd jobs services. Many electrical tasks are far too dangerous for people to even think about completing themselves. This is why the Handy Squad has put in place a team of skilled Electricians in Kensington. They are guaranteed to complete any electrical issues to an exceptional level, which includes: light installations and light replacements.